Aggressors: Ancient Rome does not start and end with the Mediterranean scenario. 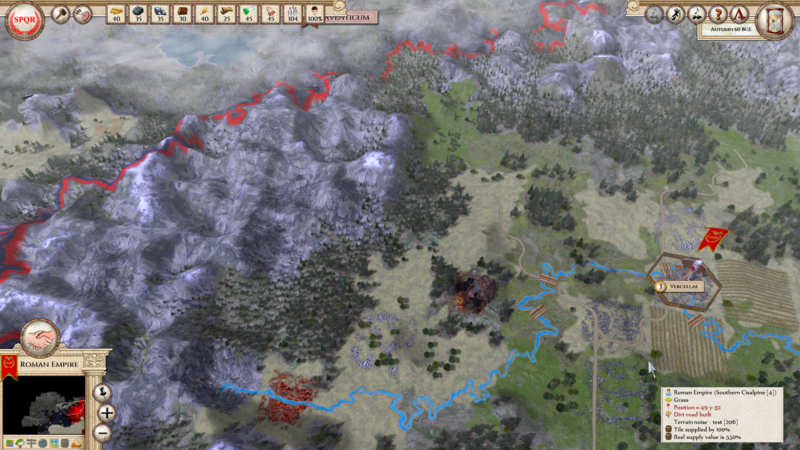 Our players can create their own maps, factions, units, rules, or whole mods. 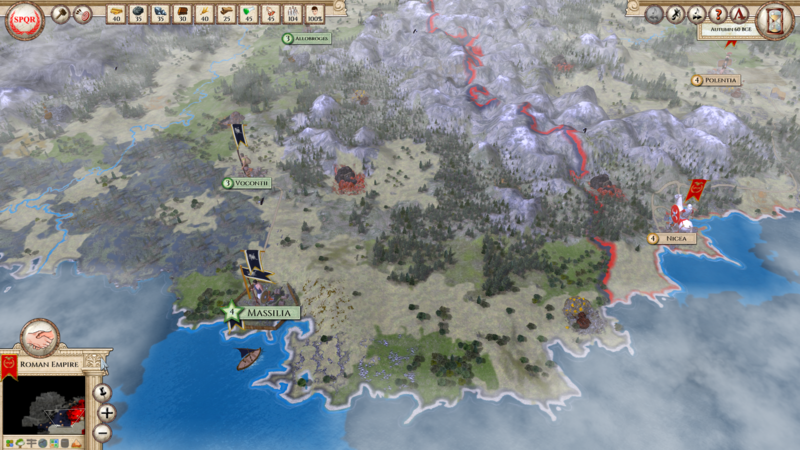 Today we would like to introduce you a scenario called "The Gallic Wars", created by Liko336. Aggressors: Ancient Rome does not start and end with the Mediterranean scenario. 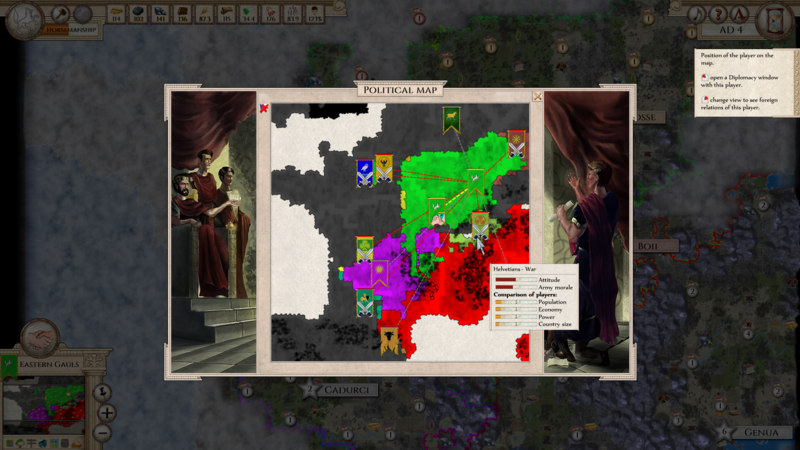 Our players can create their own maps, factions, units, rules, or whole mods. We would like to introduce you some of the most interesting ones, and let the creators themselves tell you something about what they created, what was their motivation, how they enjoyed creation of these scenarios, and what they may have struggled with. 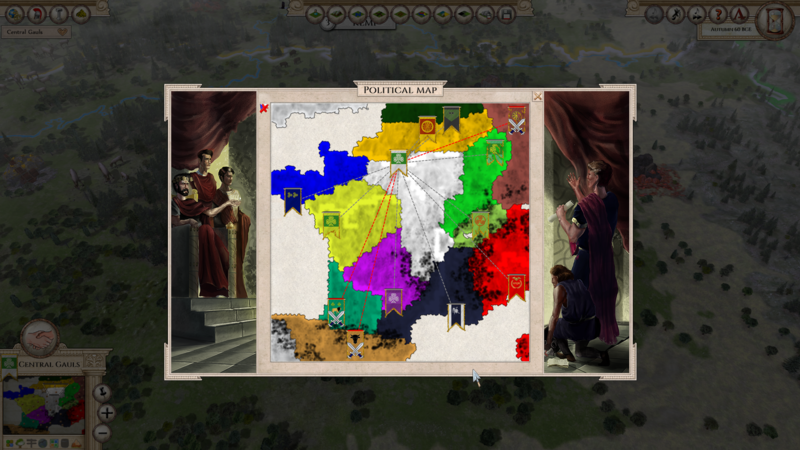 Today we would like to introduce you a scenario called "The Gallic Wars", created by Liko336. Without further ado we give the floor to him to tell you about his "child". One year ago, I came across the old game History [Channel] Great Empires: Rome and its original PC counterpart, Legion Gold. I decided to play another round, and enjoyed it, even with the lack of graphic, AI and diplomacy possibilities. My favorite map was “The Gallic Wars” with all its historical tribes. The historical feeling was good; you could see how your empire gets bigger with each city you conquer. 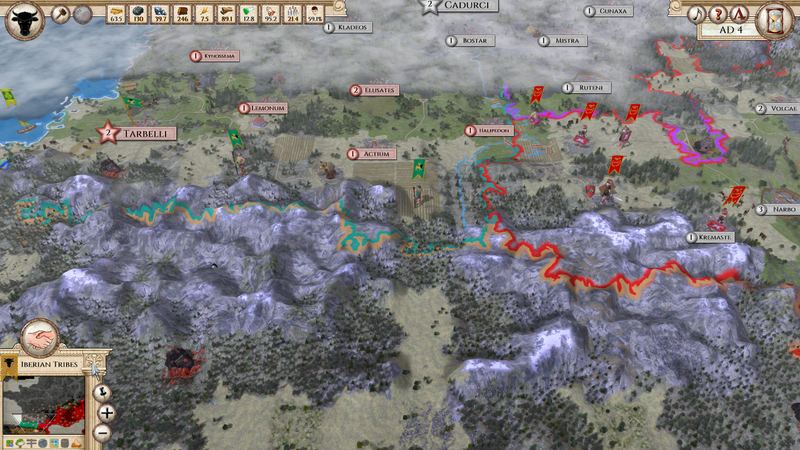 Then, around a half year later, I discovered Aggressors: Ancient Rome. I played various games in different scenarios, loved all the possibilities you get in this game, and started to create my own scenarios. 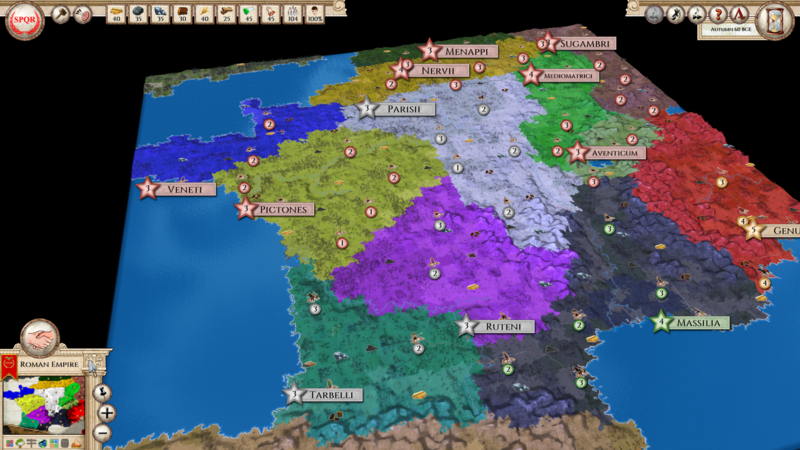 I loved the Ancient Mediterranean map in Aggressors; however, I missed the upper part of Europe; I especially would have loved to meet the Gauls as in the old games mentioned before. There were a lot of scenarios, covering the battles over the River Rhenus, the British Isles, but the Gauls were missing. So, I decided to close this gap. My next idea coming to mind was to play “The Gallic Wars” from Legions Gold, but with all the advantages from Aggressors: Ancient Rome (A:AR). I just imagined my beloved scenario with the powerful AI from A:AR, all the new diplomacy possibilities such as Defense Pact, Confederation, trading, and so on. I was sure, if I can shift this map to A:AR, I will be able to play it in a much more historically accurate setting and get a way deeper, more narrative experience. So, I started working on my second, bigger scenario and decided to publish it as soon as it was ready. Then I read of the new possibility to generate in-game maps based on images of real maps with the built-in map generator of A:AR. This was exactly what I needed: I took a map of France and a little bit of its environment around where you could see the different terrain types as well as heights, and generated the first version of the map. The great thing about it was that the map I generated this way had original proportions. I think this is essential for a good historical feeling. How often have I played on maps, or even created own maps, with unrealistic lengths between different places that just makes everything look odd! After this, I further edited the generated map. I added more details, like rivers, swamps and mountain passes. The next steps were to set all the cities and to create the factions with the borders as they were in the original game. I opened the original game, compared the maps and added these things. I had to compare the distances and to figure out what would make sense for the units in A:AR. Rarely I needed to change some distances for gameplay reasons. This all was a pretty fast and straightforward process. To finish my scenario, I had to set up the initial relationships between the factions. I was able to rely on the original game there as well. Changing the available units for the different factions, adding custom flags, setting up the start resources, naming territories and adding the difficulties were parts of the final work as well. Once this was done, I played a first game and loved it. Meanwhile I discovered custom Objectives, which you could add for every nation. Possibilities for Objectives are almost endless. And the good thing is, it would also impact the behavior of the AI. Hence, I thought this could even make the scenario more historically accurate. I started experimenting with the Objectives and added some of them. It was very fun to work with Objectives. I figured out how to add my own descriptions for them and for the countries. This is great, as it offers you the possibility to tell your own – or, as was my goal, a more or less historical – story. I wanted to add realistic objectives that fit to the possible goals of the ancient tribes/factions. Therefore, I had to do some research work. This was another part I really loved. I learnt a lot about the factions/tribes while searching for information. And I like to have this historical knowledge! But this was also – and it still is – the most time-consuming process for me: Adding Objectives and gathering historical information. Give it a try and let Liko336 know what do you think.